If I could only keep one item of makeup to use for the rest of my life, it'd be mascara. Admittedly I was going to say foundation or concealer first, but those products make no sense if you can't use any powders to add some depth to your skin afterwards. So mascara really makes the most sense - it makes you look more awake, makes your eyes look bigger and takes you from sleepy mole to big Bambi eyes in under a minute. 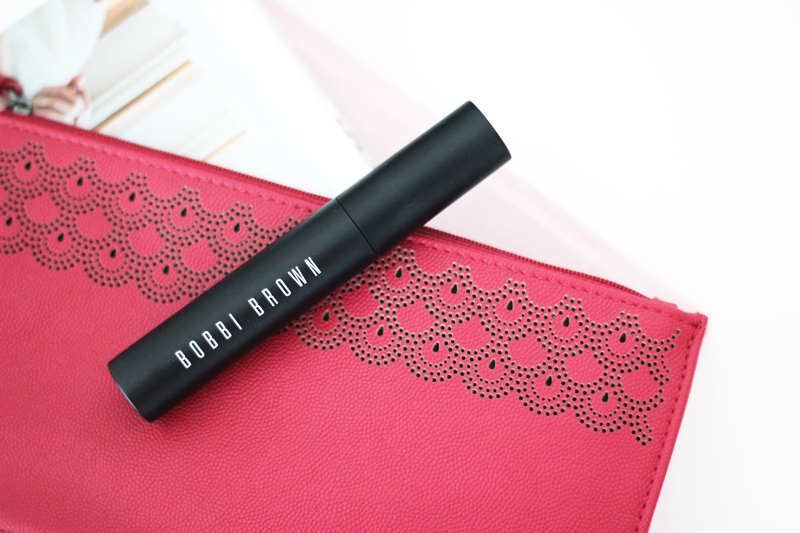 Bobbi Brown just launched a brand new mascara that promises those big Bambi eyes in just a few quick coats: Bobbi Brown Eye Opening Mascara. Let me demonstrate what Bobbi Brown means when she says this'll take your lashes to extreme heights. 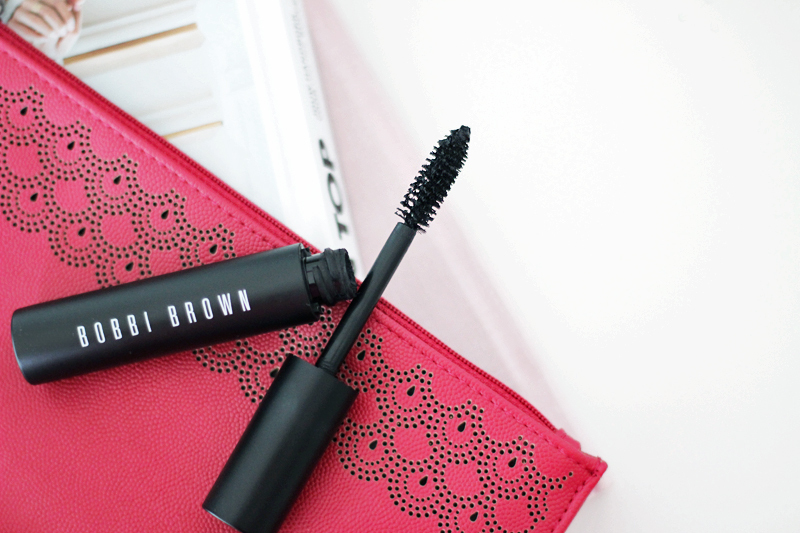 I got this new Bobbi Brown Eye Opening Mascara a few months ago already in preview. Previews are pretty awesome indeed - I get to thoroughly test out a product before it launches, leaving some room for much needed trial and error in some cases. Same here. When I tried it the very first time I was a little confused: it was a smudge fest. It left my lashes accentuated, but clumpy: definitely not the look I was going for. So I left it alone and resorted back to my usual favourites, as an attempt to retreat and reflect on whatever I was doing wrong to make this mascara fail, you could say. You see I'll never say no to a good dose of drama after trying it something I thought was going to be amazing. Flash forward to about a week ago: I read my amazing friend Lisha's blogpost about the same Eye Opening Mascara and my eye fell on something that I had read in the press release too: this is a simple but very spiffy mascara. You don't need to wiggle, twirl or fuss about with the brush - it does all the work for you. And that's exactly what I did wrong. You see, I am a wiggler. I like tons of volume and I like every single lash to be voluminous and pitch black: I wiggle, zig zag and fuss about like there's no tomorrow. So I went back to my vanity table, took out the Eye Opening Mascara again and used it like I should. No fuss: just a couple of straight simple coats of mascara. And I was amazed! This mascara does in one simple coat what other mascaras do with lots of coats, wiggles and zig zags. It was my very own fault that this one started smudging & clumping.. The brush is very thick and holds quite a bit of very creamy product (thanks to Kaolin Clay, Carnauba and mineral waxes), which is why you're able to coat your lashes with a lot of volume & intensity in a few simple coats. Sometimes there's a big blob of excess mascara on the brush which you'll need to scrape off a little, but don't scrape off too much in order to keep that jumbo effect. The formula stays pretty awesome during the day too: it gives my lashes a curl without needing to curl them with a lash curler first & most importantly keeps that same curl all day long (thanksies, Polymeric Resins and Acacia Senegal Gum). On my lashes this mascara doesn't flake off, doesn't smudge & doesn't lose intensity at all. At the same time though, it's very easy to take off. No endless scrubbing! After my initial mishap with this mascara I've happily used it every day during the past week, without complaints. This one actually does what it promises - it's only up to you not to make it too complicated so it can do its job..